Grammarly Is an application that features Punctuation, proof-reading, Any Grammatical Mistake fixing, and also tells synonyms so we can make our wordings heavy. 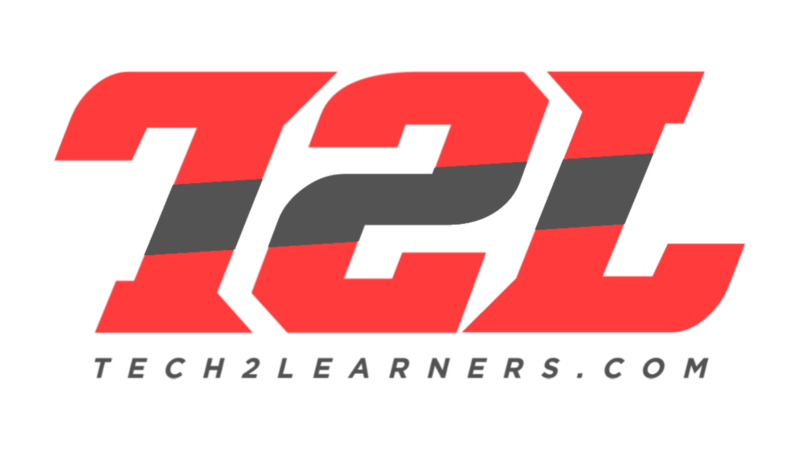 My purpose for distributing such accounts is mainly to help students and to gain subscribers too. I do not share the username and password but share a method by which a person can access premium Grammarly features without the need for login ID and password. I generate the cookies and then share these cookies so, people can use. Cookies in internet language are the memories of browser stored in a server database. In other words, I am giving you the memories of my browser so that you can access the Grammarly premium features. Do Not Log out ever or the cookie will expire. How to Use Grammarly Premium? 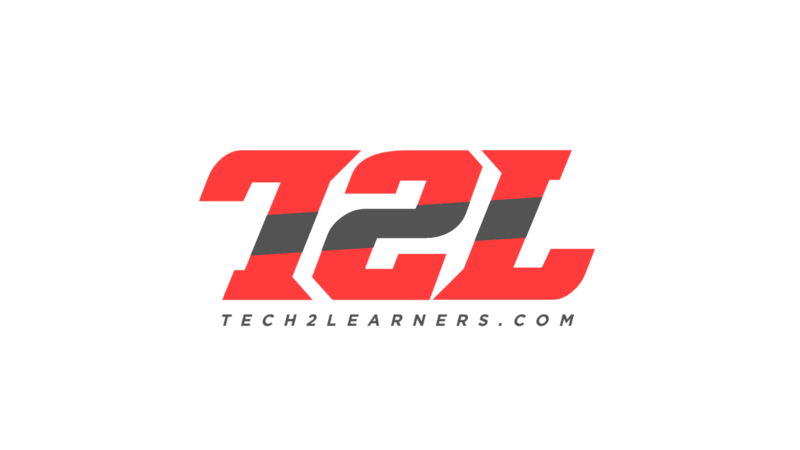 Install Google Chrome extension accurately named as j2team cookies. 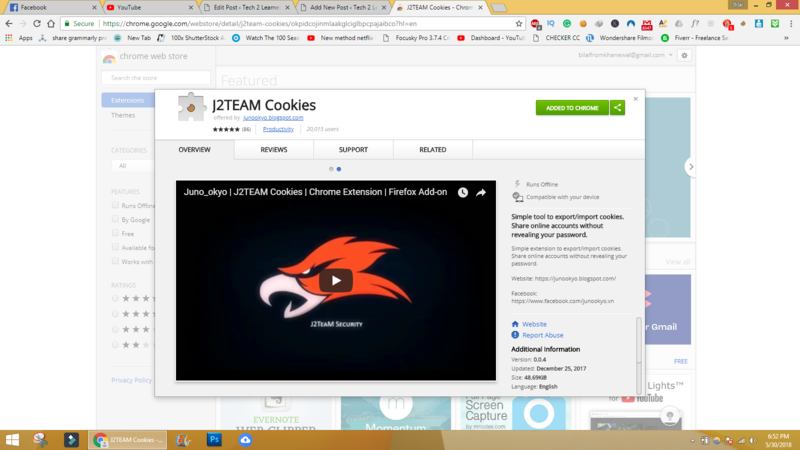 J2team cookies Chrome Webstore Downloading link: j2team cookies This extension is available free on chrome store. If you don’t find it, the video is also available down below to check the tutorial. Open Grammarly website and click on J2team cookie extension icon. After that, Click on the import button. Download the attached .json file attached at the end of this article and select it. Try all the json files if one not working for you. In case the same page appears, try the other cookie or wait to be updated. You can request for your cookies in my facebook account mentioned above. Now use this file in import option, and it will automatically log you into Grammarly premium account. 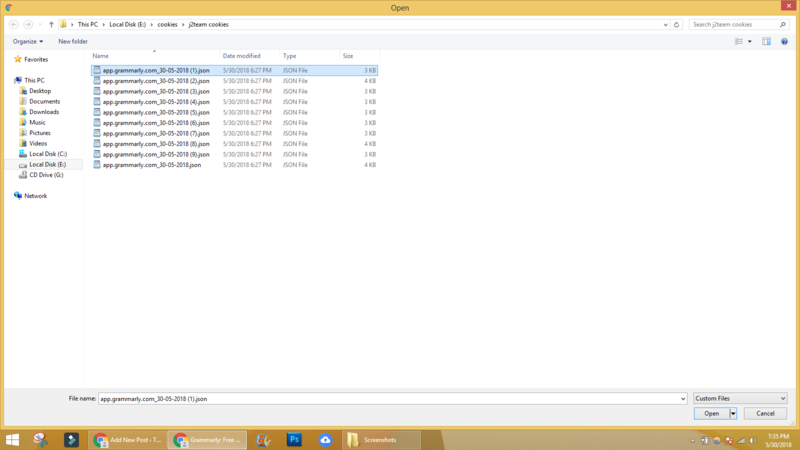 Try all files 10 files and if the cookies are not working then use this method #1 or contact me at my facebook message me there instead of sending a friend request, I reply to everyone. 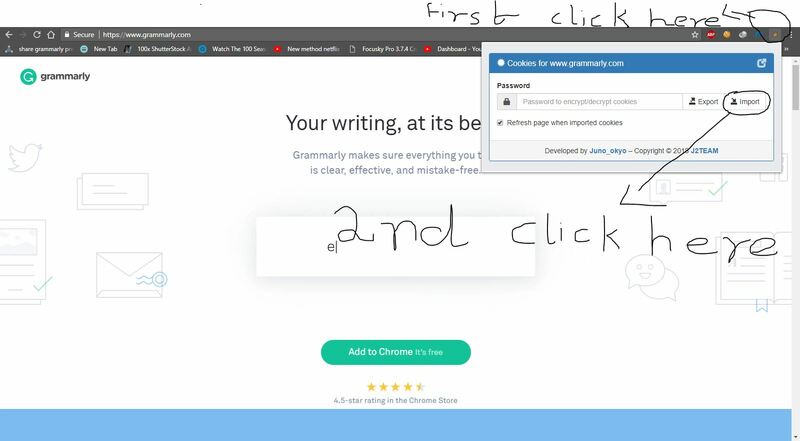 https://www.tech2learners.com/2018/05/25/free-grammarly-premium-account-method-1/ Select any of these in 20. All these files are different. Try every if not working for Last Update: 08:50 PM 2 August 2018 Pakistani Time, do not log out —- Updated By HasnainDownload Links : . I will update soon. 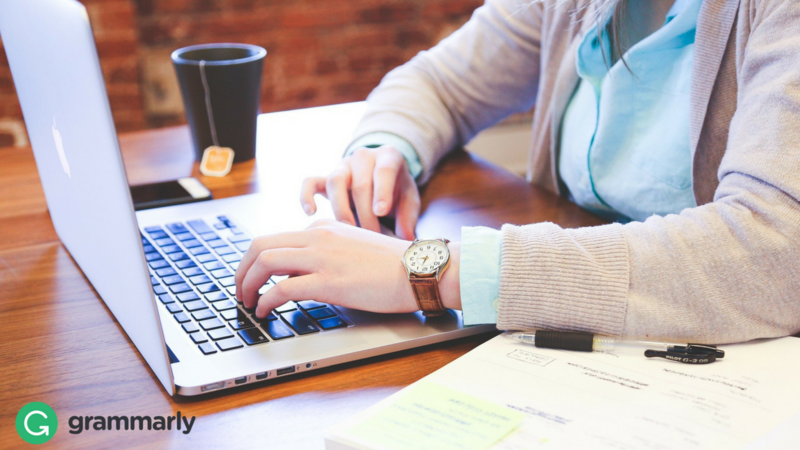 You can try method 1 for getting Grammarly premium.